An interview with Lawrence B. Wilkerson conducted April 22, 2011 by George Gavrilis for the Columbia Center for Oral History, Rule of Law Oral History Project. 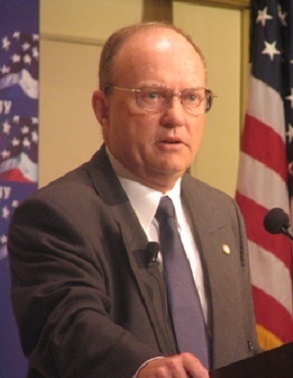 Since his retirement from the United States Army, Colonel Lawrence Wilkerson has been outspoken about his disappointment with the decision-making and planning of the Iraq War by the Bush administration, the treatment of Iraq prisoners of war (POWs), and the detention of innocent men at Guantánamo Bay. Highlights of this interview include events of Col. Wilkerson’s life and career in the Army, and discussions of the Vietnam War, United States foreign policy, the U.S. military and national security, enhanced interrogation techniques, his testimony before the 9/11 commission, and the United Nations Convention Against Torture.